Family Resource Programs are warm, welcoming environments where parents and home child care professionals, together with their children, can drop by and join in the interactive activities that are carefully planned by trained staff members. These open-concept, flexible, family-oriented centres provide support and education through a wide variety of activities, programs, and services that are suited to meet your needs. Interactive Playgroups – Drop-in playgroups with fun, educational activities for you and your children to enjoy together. Toy Lending Libraries – An opportunity to borrow fun, educational toys and equipment for a few weeks at a time. The Toy Mobile makes various stops throughout Niagara. Educational Workshops – Topics may include: Behaviour Management, Issues, Child Development, Effective Communication Skills, Speech/Language Development, and much more! Workshops are planned according to your needs and interests. Child care may be available. Support to Home Child Care Professionals – Programs may offer a unique Drop-in Program for Home Child Care Professionals, as well as workshops and opportunities for Networking. Resource Lending Libraries – Books, videos, pamphlets, etc. are available for you to use or borrow for a few weeks at a time. Topics may include: Toilet Training, Behaviour Management, Effective Parenting Skills, Child Development, Finding Quality Child Care, and much more! Referral Services – Staff can assist you in locating an agency or service provider that may have the additional service or assistance you and your family need: assessments, children with special needs, child care, housing, home visitors, health nurses, programs for young moms, etc. 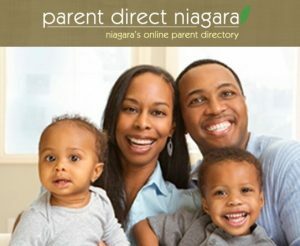 Visit Parent Direct Niagara for detailed listings of all your family resource program options and more here in Niagara. Also visit the Ontario Ministry of Education’s Find an EarlyON Child and Family Program page for more information on family resource and early learning programs and where to find them.